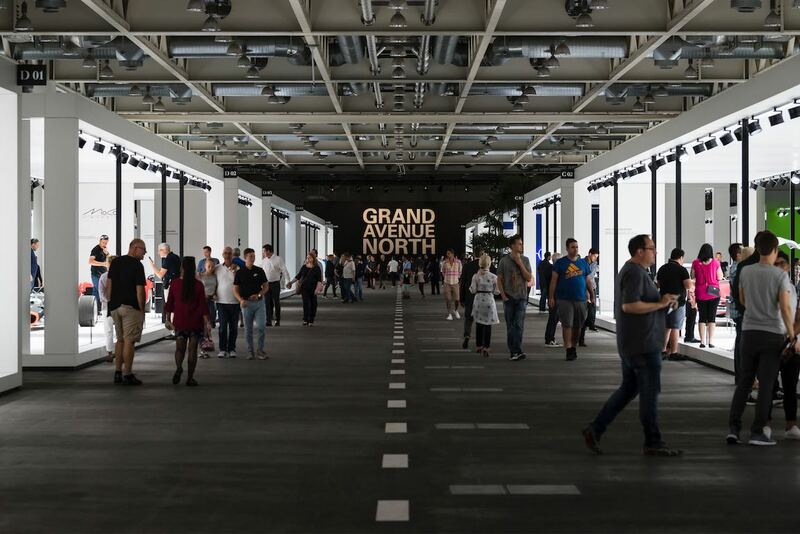 The debut Grand Basel was staged 6-9 September 2018 in Basel, Switzerland. 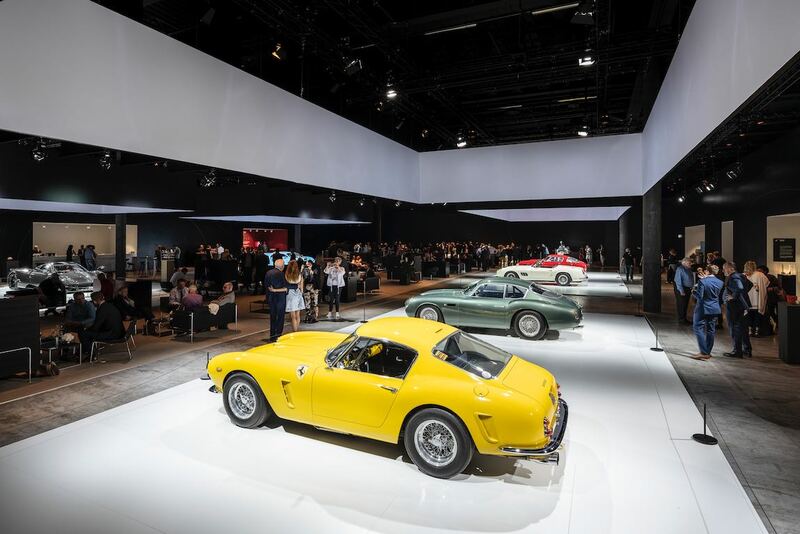 Celebrating ‘Excellence in Motion’, the inaugural Basel edition Grand Basel presented the automobile in the cultural context of art, design, architecture and lifestyle to more than 12,000 visitors. 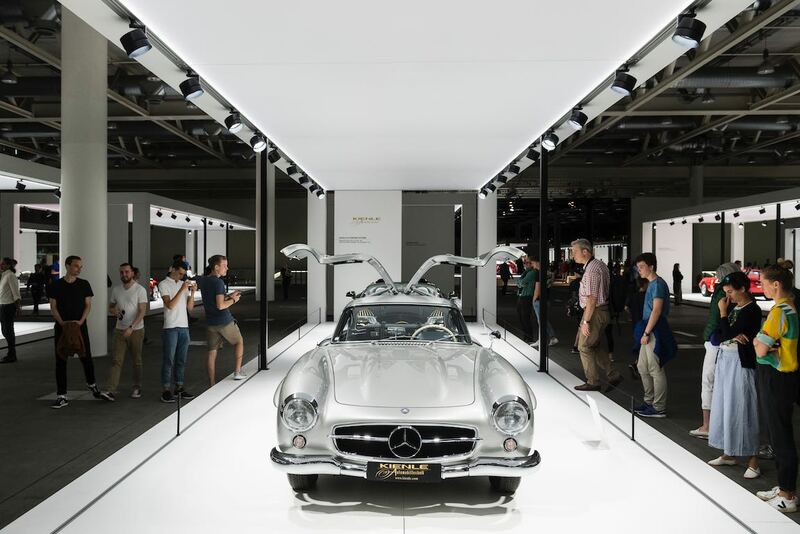 The show’s exhibits were selected to include more than 100 cars, creatively spread over a total show space of 32,000 square metres. Cars travelled to the show from Germany, Switzerland, Austria, Belgium, the UK, Italy. 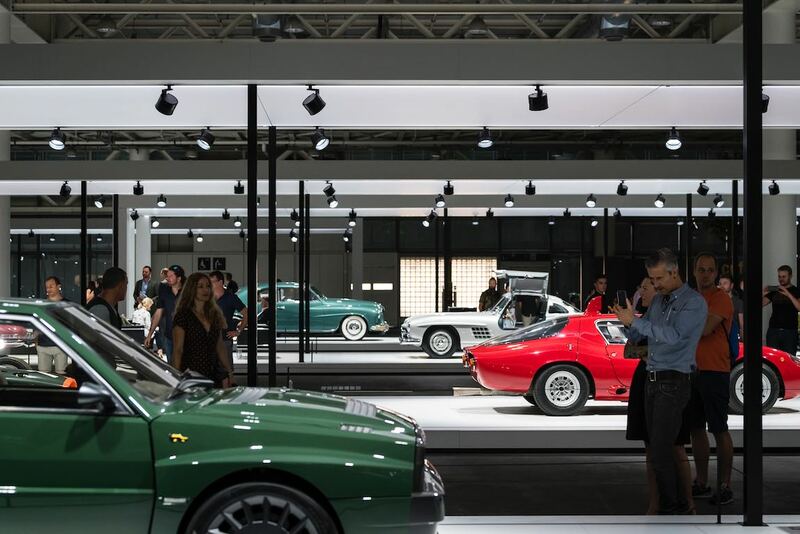 Organisers said Grand Basel is unique is that the cars on display were chosen with special consideration for each car’s cultural meaning, conceptual innovation, condition, provenance, rarity and value. They included style icons as the Cisitalia 202 SC and Mercedes-Benz 300 SL ‘Gullwing’ Coupe to a hypercar McLaren P1 and the latest design from Giorgetto Giugiaro. 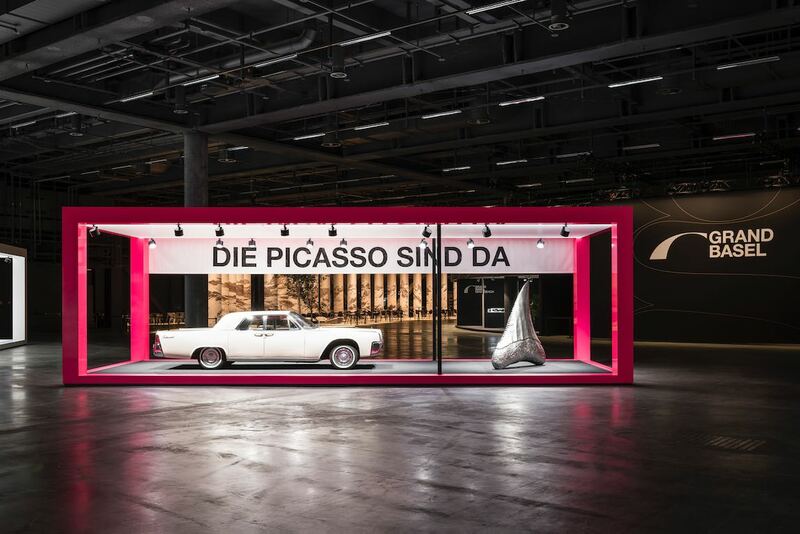 One of the special exhibitions at the first Grand Basel were six curated frames that displayed cars and other items of historical significance, showcasing the advisory board members’ personal interpretation of automotive culture. Heading up the advisory board is Prof. Paolo Tumminelli, director of the Goodbrands Institute, design critic and professor of Cultural Sciences at Cologne University of Applied Sciences. Prof. Tumminelli is flanked by executive members comprising contemporary artist, Sylvie Fleury and creative entrepreneur and founder of Garage Italia, Lapo Elkann. Honorary board members include: cultural commentator and author, Stephen Bayley; design theoretician, Prof. Dr. Michael Erlhoff; and ‘car designer of the century’ Giorgetto Giugiaro. 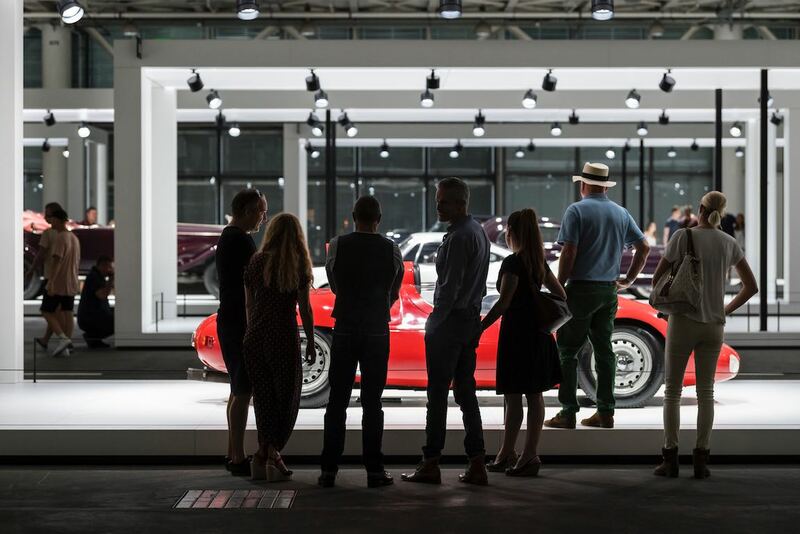 Other global show debuts at Grand Basel included the Delta Integrale Futurista by Automobili Amos, a restored and reimagined version of the iconic Italian hot hatch using contemporary materials and technologies; and the 2020 Tesla Roadster, which was never presented in Europe before. Grand Basel is organised by the MCH Group, a live-marketing company headquartered in Basel, which is also responsible for Art Basel. Following its premiere in Basel, further shows in Miami Beach and other parts of the world are being planned. Please, SCD. We don’t want to see the people. We want to see the cars. Nor do we wish to see vast expanses of lugubrious empty space punctuated in the main by mediocre motor cars ……. This could equally apply to the sunset shots of the historic racing at Goodwood , which may have given the photographer great pleasure , but left the viewer in a twilight zone inhabited by barely discernible silhouettes of Ferrari, Aston Martin,E Type and Healey. Ugh, you guys need a drink! These are interesting pictures of interesting cars. I, for one, love the different take on cars from the folks at Grand Basel. Furthermore, the sunset shots at Goodwood are unlike any I’ve ever seen. The twilight zone you mention would be seeing the same photos over and over. That’s a typical Goodwood gallery where you can’t tell one year from the next. Amazing work, SCD, on both galleries. Keep it up! I really like your work but I have to agree that there are too many shots with people blocking the cars. The one that got me really irked is the shot of the Cisitalia with two people blocking almost half of the car. The coupe lines of that car are absolutely stunning and you blocked most of it. I appreciate you showing the scope of the display but a little more focus on the cars would appeal to me more. I appreciate the expose’, however the photographer respectfully could use some instruction on photo composition. Viewing the backsides of visitors, obscuring some of these lovely and iconic cars is maddening. Some additional photos are rather sterile. Sports Car Digest can do better editing prior to publishing. Thanks for sharing none the less.